New house in Silchester (2nd of a pair). 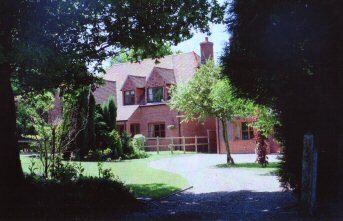 This photo shows the two new houses which were built in the grounds of an existing house and mature garden. The original house was demolished and planning permission granted for 2 houses to replace the existing one. The purchasers of this property also asked ARD to design a side extension for which planning permission was also granted.